Some people celebrate with a dinner out after finding out they are having twins. My husband and I went car shopping. That was our first purchase in preparation for our multiples. We are all know that babies are expensive. 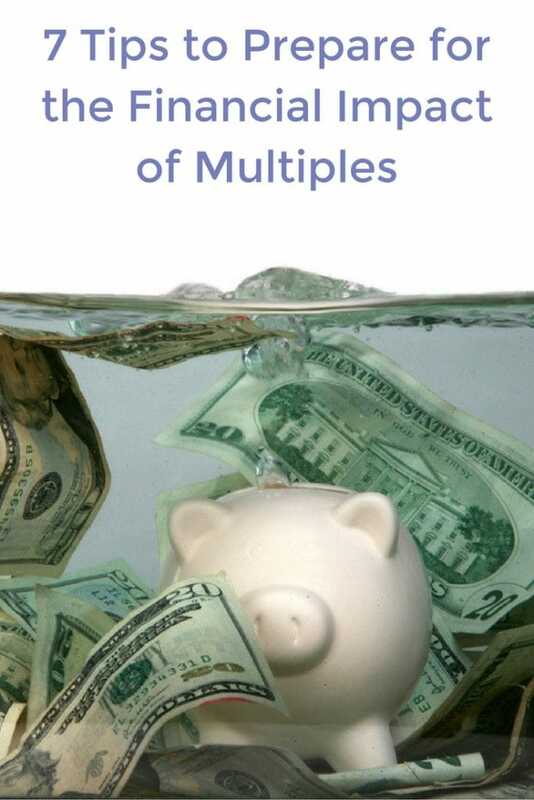 But the financial impact of multiples is larger, for obvious reasons, and sometimes it’s more or less than the logical doubling of everything. With multiples, 1 + 1 does not always equal 2. Preparing your wallet for the financial impact of multiples takes planning, but it doesn’t need to be overwhelming. Hopefully with the news of impending multiples, a friend or family member will throw you a baby shower, even if you already have children. The gift registry is a great way to tell guests what you need the most. Additionally, even if there is no shower, many retailers offer a completion discount for things not purchased. Do not be afraid to ask for discounts for multiples. Some retailers, such as Pottery Barn Kids, offer an extra percentage off for parents of multiples. This can come in handy when buying bigger-ticket items such as cribs and bedding! 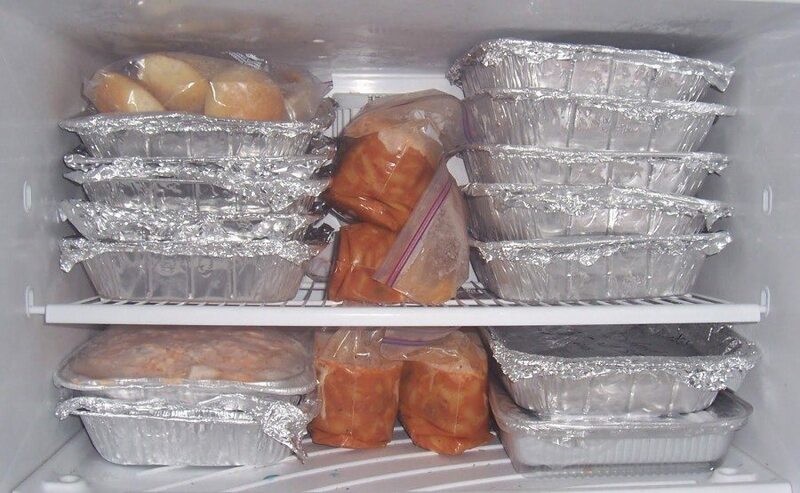 If you are physically able, stock up on homemade freezer meals before the twins arrive. Homemade is almost always cheaper and healthier than eating out. Once your babies arrive, you’re going to be seduced by the allure that is fast food and takeout. I found a plethora of freezer meals on Pinterest that I prepared and put in our deep freeze, so that we could save some cash later on when it came to food. Having a crock pot or an electric pressure cooker helps tremendously with this. Don’t be afraid of pressure cookers—the new ones aren’t what our mothers and grandmothers had! If friends or family offer to bring in a casserole once Babies arrive, say yes! We had several people do this for us, and it was always enough to feed my husband, myself, and our two older children for at least 2 meals. This is not the time to forego help from others. ALWAYS say yes! I’m not even kidding when I say once you find out you’re having two or more, buy diapers NOW. Size 1 and up are the safest bet, as your babies may outgrow newborn size quickly. Scour stores and the internet for the best price per diaper. 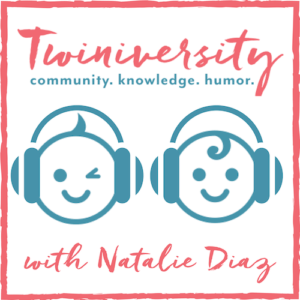 Ask on social media if anyone knows of a way to score diapers for even less—you may be surprised! A friend of ours could procure diapers for us for pennies on the dollar, and believe me when I say that she kept our family from eating ramen noodles for the first 2 years! Now we opt for the subscription service from Amazon Family. We will be spending more than we did, but still saving over retail at any big-box store we’ve checked. Also, try going generic to save even more. Depending on your lifestyle, another great money-saving option is cloth! Cloth diapers have evolved since our mothers used them, and now they’re easier than they used to be, and they can be absolutely adorable! I did cloth with my second singleton. For me, cloth wasn’t a viable option for our twins. I am away from home 50 hours a week, my husband is rarely home, and the added stress of having 4 children aged 5 and under made cloth an unrealistic option for us this go-around. Cloth can be a very expensive investment at first, but you can resell them, or buy them used to begin with, if that’s something you’re comfortable doing. Breastfeeding is a very personal decision, but purely fiscally speaking, breast will cost you significantly less in the long run. Factors can affect the cost savings, such as buying a pump, storage, etc., so weigh that when deciding. Experts suggest that breast feeding saves even more money because mothers who breastfeed miss fewer days of work due to infant illness than formula-feeding mothers do. I recognize that there are factors that affect every mother’s decision to breastfeed other than the economic, and sometimes formula supplementation and exclusive formula feeding are necessary. 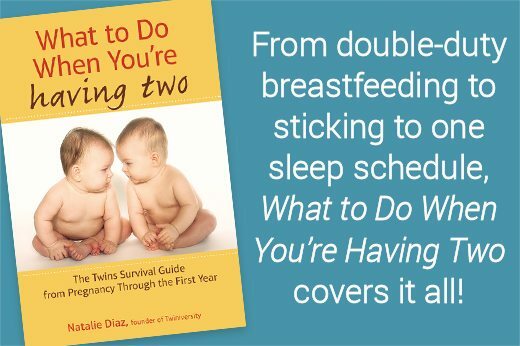 If you are considering breastfeeding your multiples, seek help and counsel from an International Board of Lactation Consultant (IBCLC) or a support group such as La Leche League. Again, this is not always a viable choice for some mothers. Staying at home was not an option for me, and honestly, I am a better mother as a working mother. Some mothers need to work outside the home because the income is necessary, they carry the family health insurance through work, or they simply prefer it. If this is an option for you, however, do the math. Calculate the annual cost of child care for multiples, and compare that with the annual income lost if you stayed home. You may be surprised. There are some items you should never buy used such as cribs and car seats. There may have been safety recalls that you don’t know about if you buy these items used. Some vintage toys are unsafe to buy used as well, because of levels of lead and other dangerous elements. 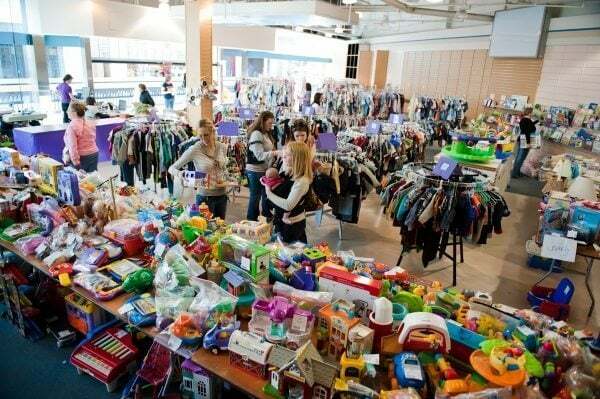 As far as clothes, books, play mats, and other baby gear, keep your eyes peeled for great deals at yard sales and resale shops. Facebook has some great resale pages for multiples’ coordinating clothes and gear, and they’re handily classified by gender to make it even easier. When babies use gear and clothing for such a short period of time, why pay more? 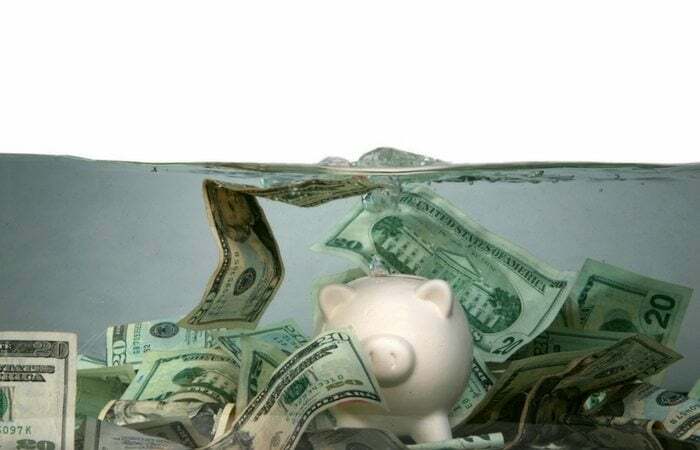 Use that money you saved buying used to buy more diapers, or to put into a college fund! Speaking of college funds, explore the option of a 529 college savings plan. A 529 college savings plan is a type of investment account you can use for higher-education savings, which is usually sponsored by an individual state. The great advantage of a 529 is that your earnings grow federally tax-deferred, qualified withdrawals are tax-free, and some states have other tax benefits as well. Just about anyone can open a 529 account, including parents, grandparents, other relatives, and friends. You must wait until your multiples are born before opening, however, because you will need their social security numbers to begin the process. 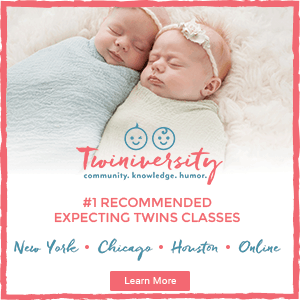 It’s true that twins, triplets, and more are expensive. But the blessings they bring are far more valuable. Thinking of all the costs can be dizzying at first, but like any daunting task, separate it into parts, and be proactive. Define your exact needs, research, compare, itemize, prioritize, and keep these tips in mind when deciding how to spend your hard-earned money. Finally, before you stress too much, remember the money you’ll save at year-end with those cute little tax deductions— that should help you breathe a little easier already! 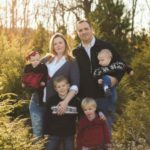 Stacey Bibb lives in the St. Louis area with her husband Ryan, their 7yr old son Philip, their 4yr old son Jack, and 18-month-old boy/girl twins Conor and Jorie. She works as a psychological examiner, and she and her husband run a funeral home! She loves traveling, sports, survival, and Starbucks. She is especially excited on days that she manages to arrive at work with her hair done and an outfit that actually coordinates.